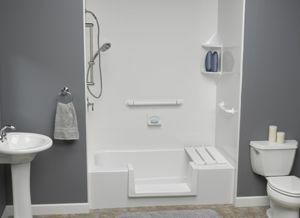 Convert your existing bathtub to a safe, easily accessible walk-in tub or shower today! Looking for a bathroom update without all the hassle? 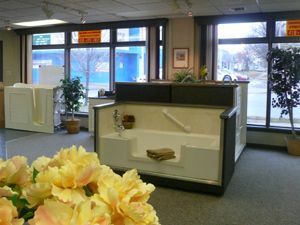 Toledo New Bath offers easy transformations that fit to your needs. Our bathroom conversions provide families on the go with the perfect tub or shower update, without all the stress of a full renovation. 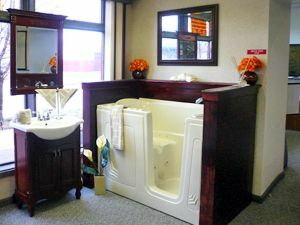 Whether you need cracks and scratches repaired, a brand new tub or a full tub/shower conversion, our professional remodeling staff is up to the task! Shower Conversion – Don’t have a bathtub in your home? No problem. Call for a free estimate today! Replace your existing bathtub with a safe, extra large shower or walk in tub today! We first start by removing your existing bathtub, and checking the stability of the area. Next, we inspect your plumbing to ensure it’s solid and working properly, without any hidden leaks or defaults. Then, we install our custom-made acrylic shower or tub base that is guaranteed not to chip, crack or stain, and seal all of the seems with our acrylic based adhesive. And finally, install your choice of safety bars, shower kits or other modern bath fixtures. 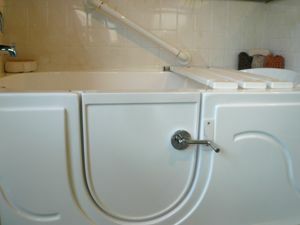 We can install a custom-made acrylic tub liner over your current tub in as little as half a day! All without disrupting your existing walls and guaranteed not to chip, crack or stain. Prices start at $1299.